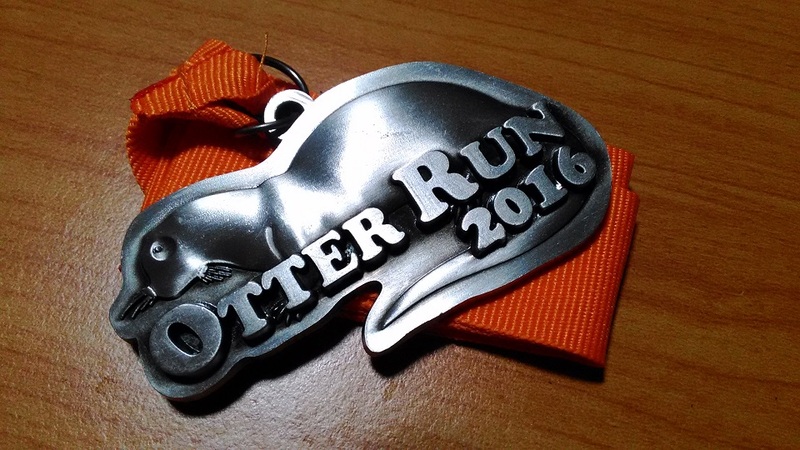 Race Review: Otter Run 2016 [10km] (by Moses) | JustRunLah! Any time now. Credit to Otter Run. As mentioned above, the 10km was my choice as it is one of my favourite events. Long enough to make the registering worthwhile, yet short enough to be taken as part of training and not be overly taxing. It was priced very affordably at $24 for Early-bird sign ups (or $28 beyond that period)! Though Race Entry Pack Collection was available on many occasions prior to race-day, I was only intending to collect my race pack on race-day itself (an option which organisers had kindly made available). I headed to the venue about 40 minutes before flag off for my category (10km) which was to be at 7.00am, though collecting took barely a minute due to the small scale of this race. Baggage deposit services and race pack collection was at Anchorvale Community Club, a stone’s throw away from the Start-point. No issues here and I enjoyed a fuss-free experience, including the adequate availability of restrooms. 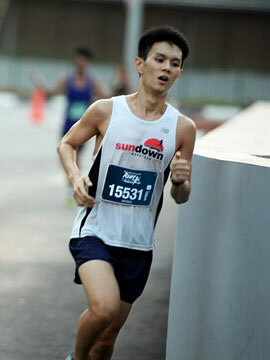 Flag-off was prompt at 7.00am for the 10km category. It was a small field of participants, perhaps barely over a hundred runners, therefore congestion was definitely not an issue. The race route would take participants around Sengkang Riverside Park and Sengkang Sports Centre, following the scenic PCN to Punggol Waterway Park before returning. The start and finishing points were not at the same location, though they were very close. Notable challenges had to be the hairpin turns at multiple occasions, often when turning onto bridges and even a pretty tight turn just metres from the finish. There were 3 hydration stations serving both water and isotonic hydration, though the first point came a little too late into the race at around the 5km mark. Distance markers, albeit their small size, were placed at every kilometre. Though I did observe direction signs (somewhat inconspicuous) and volunteers directing runners, I understand that one speedy runner had run off-course, missing out on a podium finish. 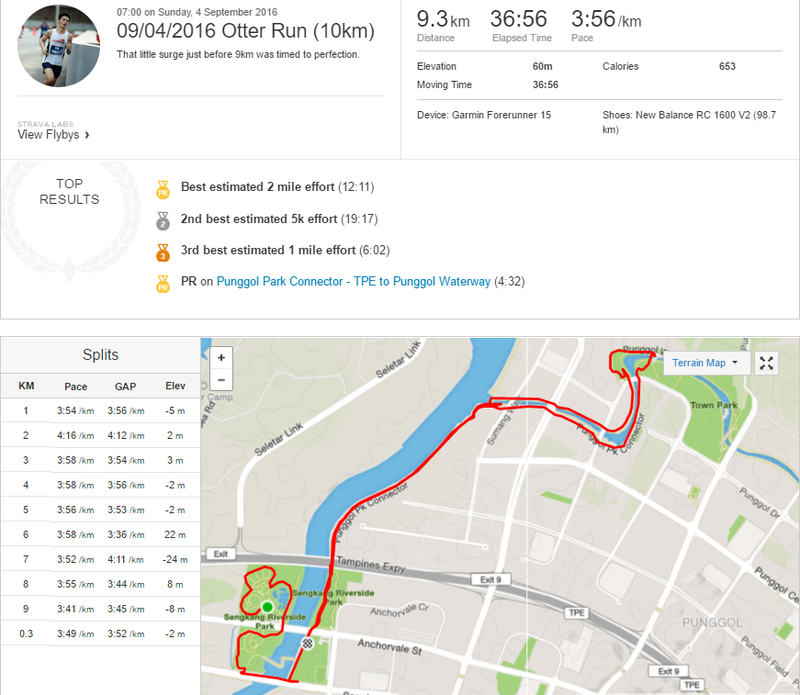 The route distance came out to be significantly shorter than the stated 10km however. Strava data (seen below) based on my Garmin FR15 measures it to be more than 500m short. It was otherwise a pleasant, partly-shaded route with no congestion. It is of concern that some runners did report the presence of insect stings after running past a bridge at Sengkang East Way. When I ran past that portion of the route early into the race, I did hear buzzing noises in my ear though was not stung. I recognise that it must have been an unpleasant experience, though I do acknowledge the challenges in prevention of such an incident which is unlikely due to negligence on the organisers’ part. A Facebook post by organisers indicated that they did recce the route for the two weeks prior to the race, till the morning before the event. Thankfully, first aid was available to attend to runners’ concerns. Thereafter, runners were handed a Finisher’s Medal, a banana and isotonic hydration. Sports massages were available for participants and of course, with the swimming complex nearby (time to spend some ActiveSG credits), I couldn’t resist a dip (after an initial rinse to get the perspiration off)! 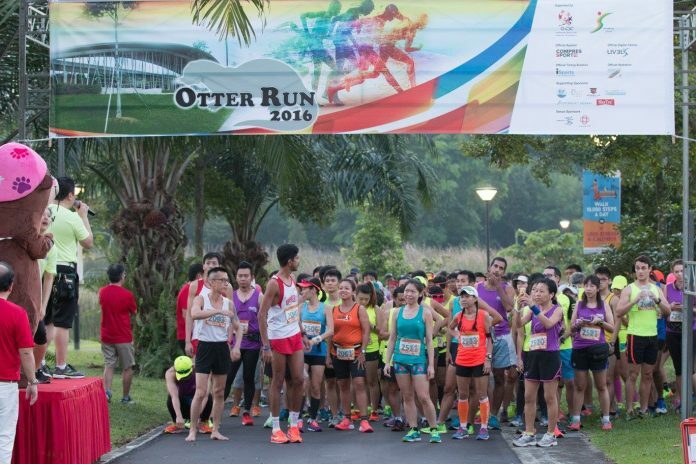 Cover photo credit: Otter Run’s Facebook page.